Alex Proba contributes to our desktop series with an abstract inspired by Robin Williams and springtime. This month’s design comes from one of our favorite artist/designers, Alex Proba of Studio Proba. 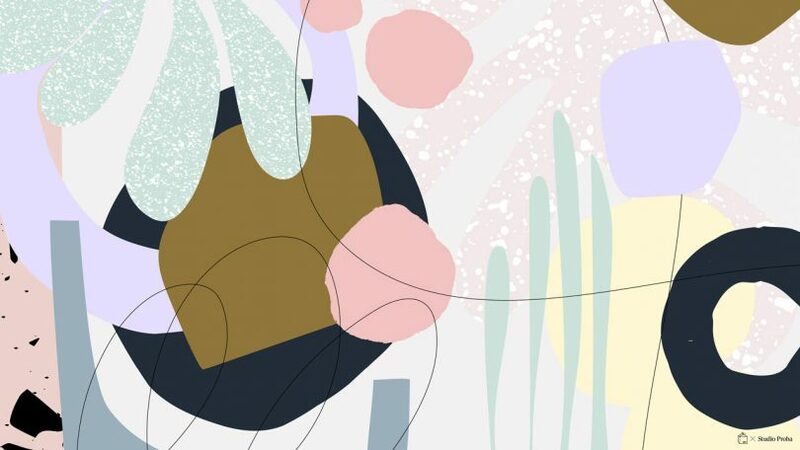 We’ve been a fan of her dreamy, abstract work for a long time and recently profiled her about her current work, which includes rugs, murals and sculptural installations. See more of the Alex Proba’s work here.